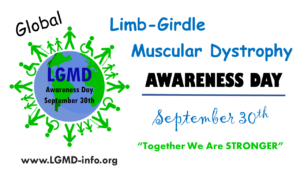 Do you think you have a form of Limb Girdle Muscular Dystrophy? It is very important for you to get a genetically confirmed LGMD diagnosis! If your doctor tells you that you have an LGMD but doesn’t genetically confirm it, your diagnosis is incomplete. Knowing the exact form of LGMD or sub-type is important as there are health benefits for confirming an LGMD sub-type through genetic testing. As an example, some treatments like steroids will help patients with one type of LGMD and hurt patients with another type of LGMD, some sub-types can experience complications with the heart, breathing, and/or with anesthesia… so knowing what type of LGMD that you suffer from will help you manage your health. Further, if you want to help researchers and physicians trying to find a cure for your disease by participating in clinical studies and trials, you will need genetic confirmation in order to participate. In the US, the Lantern Project offers free genetic testing for LGMD. Sanofi Genzyme is partnering with PerkinElmer Genomics to offer a complimentary genetic testing program called The Lantern Project. Invitae also offers genetic analysis to identify the cause of a disease affecting an individual or a family. 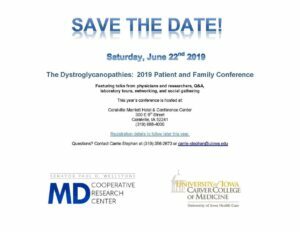 This may be of interest to people who have not been able to get genetic testing through their insurance or sources such as MDA’s LGMD testing program, or the genetic testing that had been offered through the consortium of LGMD Foundations. Invitae offers a reduced direct pay price (if the patient just pays up front and doesn’t involve insurance). They offer a neuromuscular panel consisting of about 120 different genes and this includes things like testing for duplication/deletion of exons, which traditional testing doesn’t pick up. USA/International The US based companies below also accept international samples. Please check with the individual companies for details. The free Genetic Testing program that had been offered by the consortium of LGMD Foundations/Jain Foundation at LGMD-Diagnosis.org is no longer accepting new applications at this time. 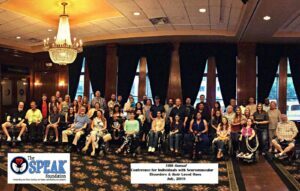 The free genetic testing program that had been managed by MDA in the United States has rolled over to the Lantern Project. All inquiries about the free LGMD Genetic Testing should now go directly to the Lantern Project and not through MDA.